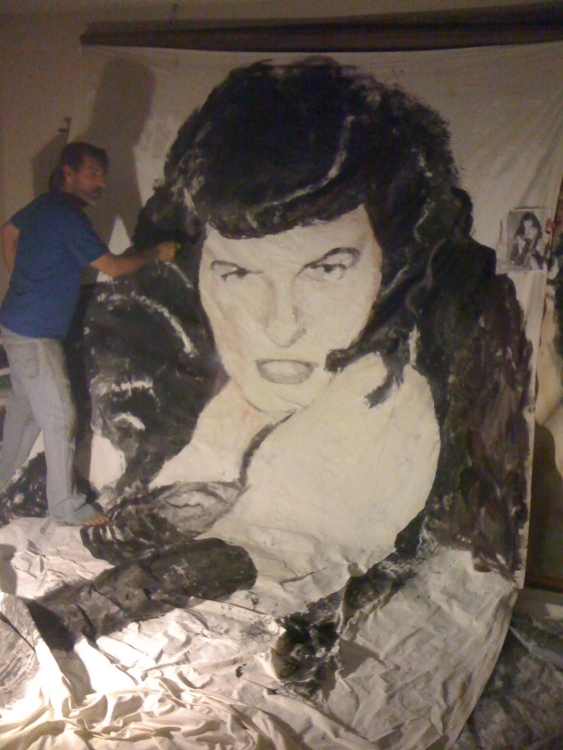 Bettie Page, with her black hair and bangs, girl next door appeal and notorious legacy, was the famous 1950s pinup who lived in Miami and made some of her most iconic photos here. 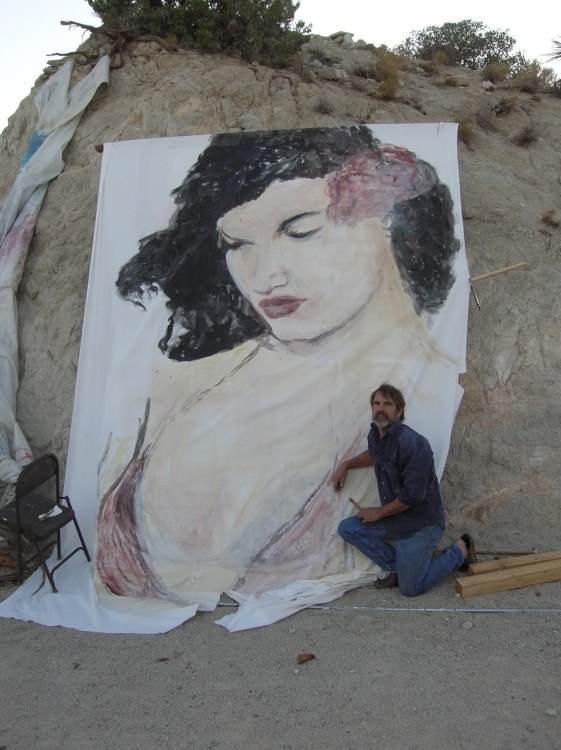 Davis Murphy is a nationally known artist specializing in large scale paintings and sculptures. 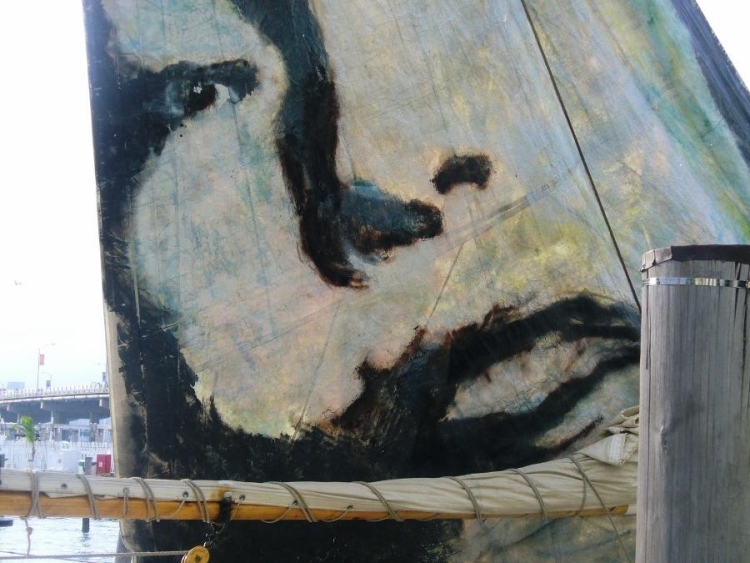 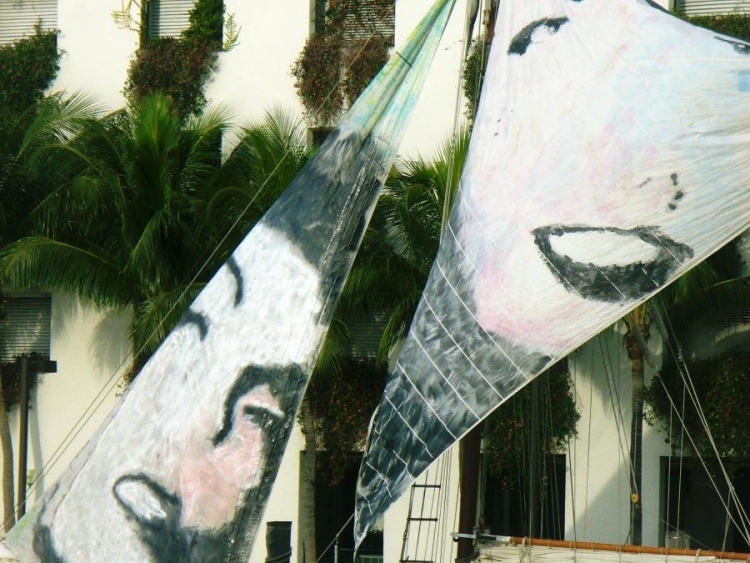 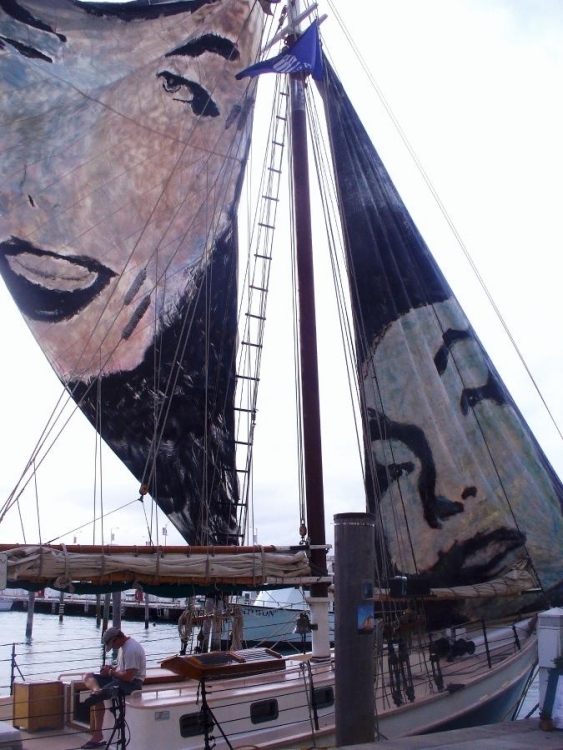 As an homage to the late Bettie Page, Miami, the yachting industry, Miami’s international art scene and glamorous fashion industry, Murphy has painted Bettie on large canvases and on the 60 foot sails of the luxury tall ship Liberty Schooner. 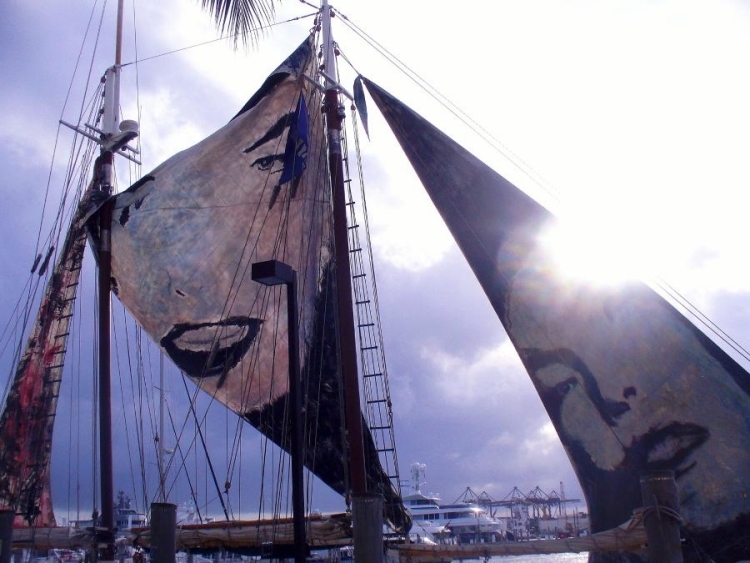 An incredibly striking sight as people drive over the 5th Street causeway bridge and see this art boat at the Marina, the boat will be available for bay and ocean cruises as well as fashion shoots and private events.